Thankful. Grateful. Blessed. We truly feel those exact emotions this season. Find products you love (jewelry, clothes, shoes, whatever you have to have) and add it to your cart. 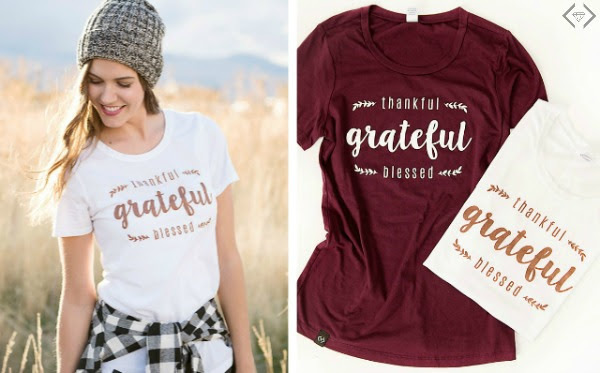 When the cart totals $25, add the Thankful Grateful Blessed shirt from our Fashion Friday page to the cart. Put the code THANKFUL1 in the "Gift Card or Discount Code" Box to make your t-shirt FREE!